The American-born cellist Alisa Weilerstein has attracted attention worldwide for her natural virtuosity, intensity of her playing and the spontaneity and sensitivity of her interpretations. In 2010, she was invited by Daniel Barenboim and the Berlin Philharmonic to play the Elgar concerto in the orchestra’s annual Europakonzert which that year took place in Oxford’s Sheldonian Theatre. She has appeared with all of the major orchestras throughout the United States and Europe with conductors including Pablo Heras-Casado, Gustavo Dudamel, Sir Mark Elder, Christoph Eschenbach, Paavo Järvi, Zubin Mehta, Matthias Pintscher, Yuri Temirkanov, Juraj Valcuha, Osmo Vänskä, Semyon Bychkov, Simone Young and Jaap van Zweden. 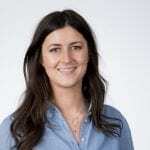 She has also appeared at major music festivals throughout the world as a soloist, recitalist and as a chamber musician. In the 2018-19 season, Weilerstein releases Transfigured Night on the Pentatone label, joined by Norway’s Trondheim Soloists for three masterworks of the First and Second Viennese Schools: Haydn’s First and Second Cello Concertos and Schoenberg’s Verklärte Nacht, from which the album takes its title. Two Scandinavian performances of the album repertoire with the same ensemble open the season. 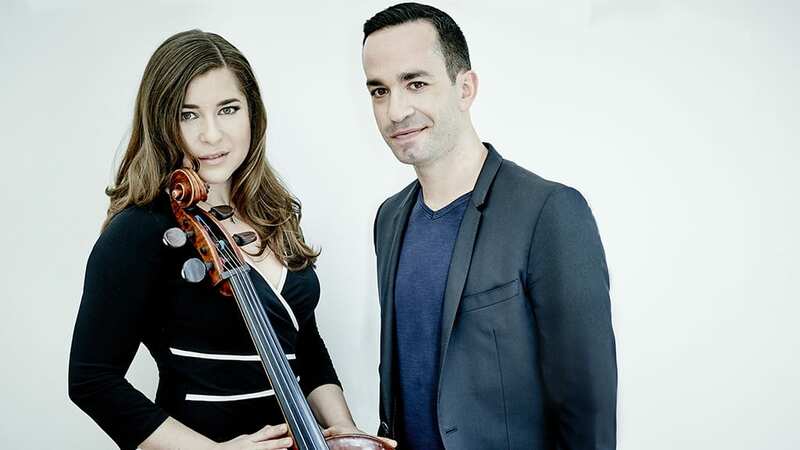 In the spring, she returns to Verklärte Nacht, this time in a trio version, when she tours Europe and the U.S. with pianist and frequent collaborator Inon Barnatan, violinist Sergey Khachatryan, and percussionist Colin Currie. Between these bookends, she gives performances of Shostakovich’s Second Cello Concerto with five different orchestras (the Gothenburg Philharmonic, Orquesta Nacional de España, Orchestre de Chambre de Lausanne, Valencia Orchestra, and Toronto Symphony), and tours the U.S. playing Dvořák’s Cello Concerto with the Czech Philharmonic led by Semyon Bychkov. She also performs the Schumann Concerto with the Rotterdam Philharmonic in Belgium and the Netherlands, and gives accounts of Saint-Saëns’s First Cello Concerto, Britten’s Symphony for Cello and Orchestra, Richard Strauss’s Don Quixote, and Bloch’s Schelomo: Rhapsodie Hébraïque in cities from San Diego to Vienna. Finally, she gives two performances, with the composer leading both Copenhagen’s Danish National Symphony Orchestra and the Cincinnati Symphony, of Matthias Pintscher’s new cello concerto Un despertar (An Awakening), written for her and premiered last season. In the midst of her orchestral engagements are five solo performances of Bach’s complete cello suites, in Beverly Hills, Boston’s Celebrity Series, the Saint-Denis Festival in Paris, the Elbiphilharmonie as part of the Schleswig-Holstein Festival and for Cal Performances in Berkeley. After years of playing the pieces individually, this season marks only the third in which she has ventured to perform them all. Alisa and Pablo discuss working together on the new Shostakovich album. Alisa Weilerstein with Daniel Harding and the Mahler Chamber Orchestra in Sydney, June 2013. Transfigured Night brings together two outstanding composers associated with Vienna: Joseph Haydn and Arnold Schoenberg. The former is often seen as the oldest representative of the “First Viennese School”, whereas the latter founded the “Second Viennese School”, using the classicism of his predecessors to explore new, atonal musical paths into the twentieth century. By combining Haydn’s two cello concertos (in C-major and D-major) and Schoenberg’s symphonic poem Verklärte Nacht – in the 1943 edition for string orchestra – this album sheds a new, fascinating light on both Viennese masters. 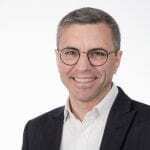 The connection between the stylistically contrasting pieces on this album is further enhanced by the inspired playing of American cellist Alisa Weilerstein and the Trondheim Soloists. For Weilerstein, this album is not only a fascinating exploration of the rich Viennese musical heritage, but just as much a confrontation with the dark history of a city her grandparents had to flee in 1938. Transfigured Night is Weilerstein’s first album as an exclusive PENTATONE artist, as well as the first album recorded with the Trondheim Soloists since her appointment as Artistic Partner of the ensemble in 2017. 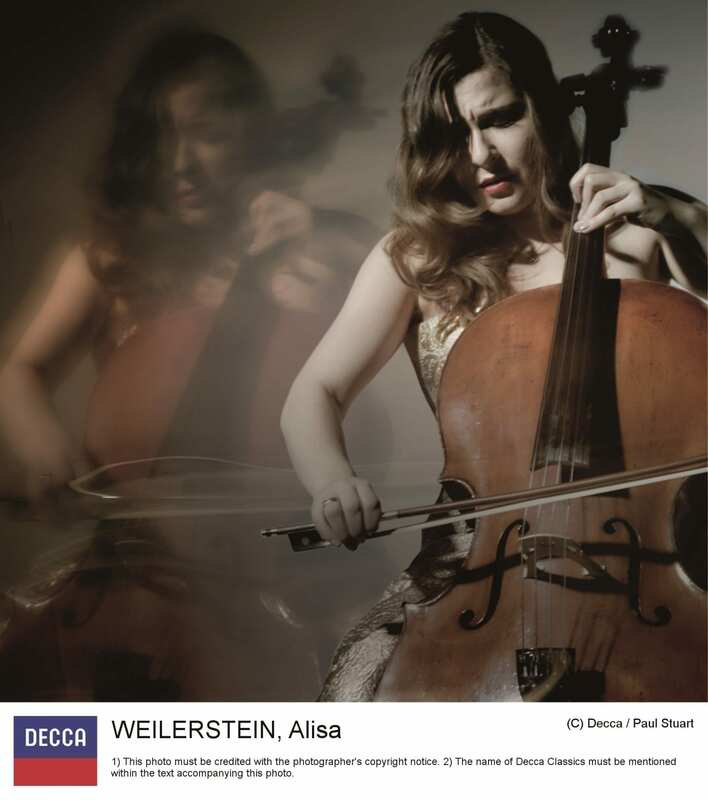 The long-awaited solo album from Decca’s star cellist sees Weilerstein revealing and revelling in her technique. The 20th Century was significant in affirming the cello’s place as a premiere solo instrument. Between 1900 and 1960 over 160 works were written for solo cello – the most ground-breaking of these forms the centrepiece of this recital: Zoltan Kodaly’s Solo Sonata, composed in 1915.
with the Czech Philharmonic and Semyon Bychkov. with the Hallé Orchestra & Sir Mark Elder. “Alisa Weilerstein plays Bach’s Cello Suites with the rapt expression of a madonna, leaning into the play of light and shade in the preludes and listening attentively to the rhythms of dances that no one dances any more. Alone on stage, the American cellist found a balance between intimacy and grandeur in a performance of more than three hours. 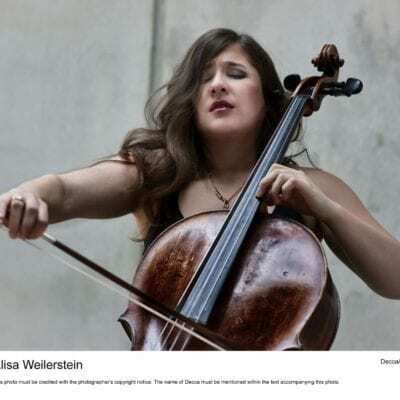 “There’s a good reason why 34-year-old American cellist Alisa Weilerstein should be dubbed “the new Jacqueline du Pre”. After all Daniel Barenboim chose her for his first recording of the Elgar cello concerto since the legendary albums he made with his wife in the 1960s. But while Weilerstein admits du Pre is her cello hero and they do have in common that riveting intensity and passion in their playing, coupled with prodigious technique and the ability to make each note mean something, the young New Yorker is showing the world that hers is a talent that only comes along once in a very long while. In Sydney we’ve seen her with Sydney Symphony Orchestra in 2011 performing Prokofiev and again two years later with the Mahler Chamber Orchestra stunning us with Shostakovich. 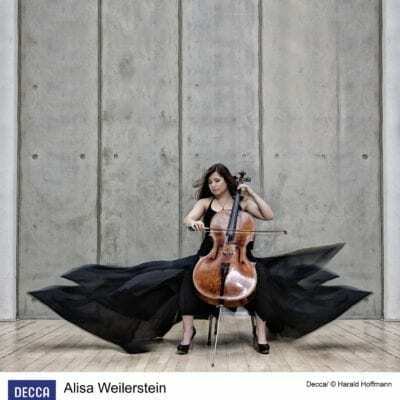 “Shostakovich’s 2nd Cello Concerto was performed by Alisa Weilerstein, a young American cellist whose recent recording of Elgar’s concerto with Daniel Barenboim was praised to the skies. Weilerstein is truly a phenomenon. It’s rare to hear an orchestra dominated by a soloist with such apparent ease, especially in this piece which seems to take an almost sadistic pleasure in pitting the cellist against impossible odds. At one point the cellist’s interjections have to balance a series of implacable thumps on the bass drum, at another it emits a high-pitched scream, pianissimo, above the entire orchestra, before descending in vertiginous leaps. by Weilerstein and with the orchestra in complete sympathy. “This dynamic duo wins the prize for being the most musical — and exquisitely so, a perfect model of maximum expression through a great variety of volume levels. None of it is manufactured; it’s felt, as if the musicians are truly communing with the composer every second. Their renditions of duos by Debussy, Schubert, Shostakovich and Rachmaninoff revealed an intense kaleidoscope of emotion, particularly in Rachmaninoff’s cello sonata, where they were able to mine the rich riptide of romanticism by letting its innate magic work without putting unnecessary pressure on it. Weilerstein’s highly nuanced performances, from sinewy to breathlessly evanescent, revealed an exciting and exceptionally truthful artist. Barnatan’s phenomenal prowess sparkled throughout, and in Schubert’s “Fantasy” he made the numerous fantastic knuckle-busting variations practically levitate. 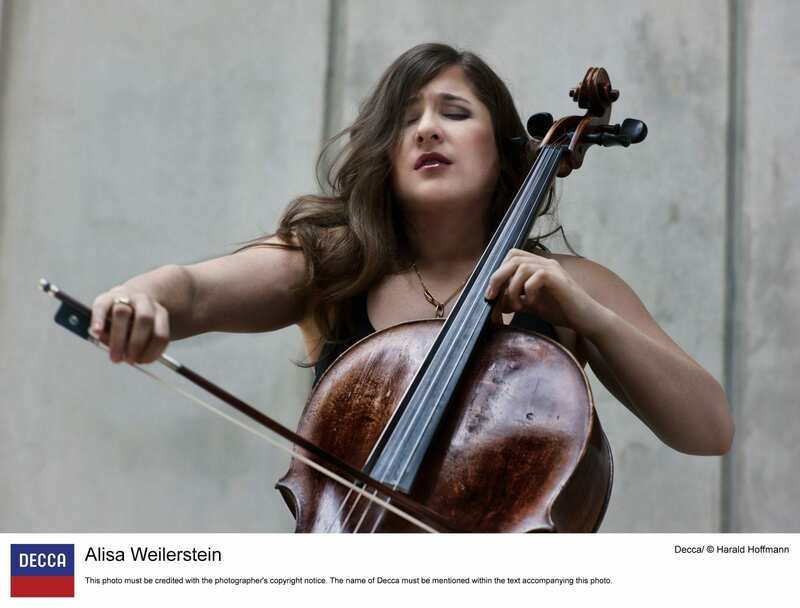 “Alisa Weilerstein’s playing was technically and musically superb. In ensemble she was also excellent, humble enough to shrink into gravelly accompaniment occasionally and interacting closely with Principal Horn Laurence Rogers, who gave some very good solos. “Her tone is huge and deep, and she has a wonderfully pliable way of shaping the singing lyricism. The cellist spanned the full emotional range from poignancy to ebullience, bringing out an abundance of sentiment while avoiding sentimentality. “… their playing has a buoyancy and energy that in the Haydn form the ideal springboard for Weilerstein’s playing as it leaps and dances in and out of the larger texture. 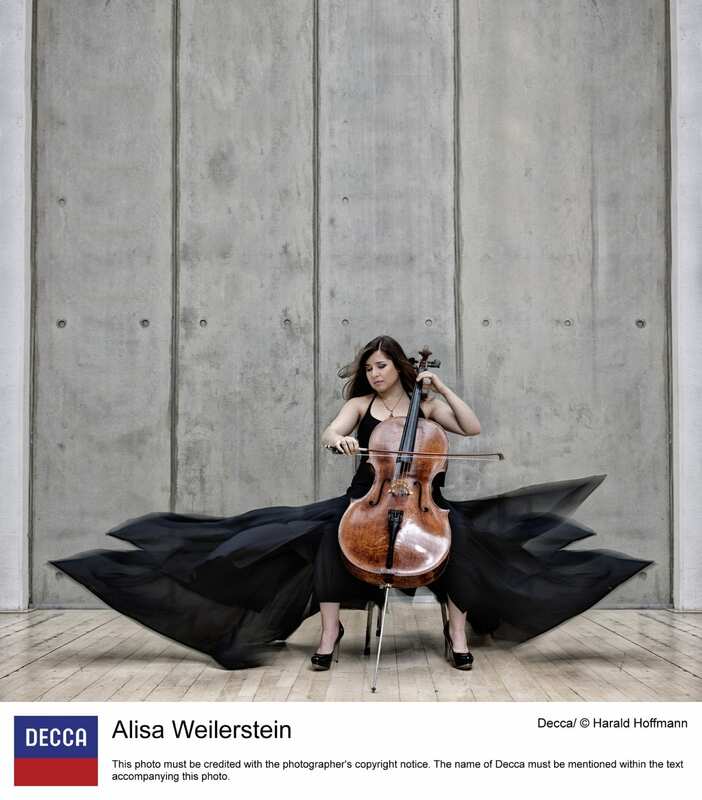 … Weilerstein’s tone rings easily when she wants a melody to sing out. The orchestra is an equal partner, setting up a mood of understated tenderness in the slow movements. “Masterly though Rostropovich’s recordings of Shostakovich’s cello concertos unquestionably are, his tendency to live through every note as though it might be his final utterance can feel overwrought at times. Alisa Weilerstein is no less physically propulsive and passionately committed, yet she imbues these scores with such a compelling sense of emotional narrative that it seems as though one were hearing the music for the first time. Traditional readings of the First Concerto tend to be delivered at high voltage and emerge almost unremittingly from the ‘dark side’. By comparison, Weilerstein fearlessly explores the music’s rich vein of humanity so that it becomes less a sustained cry of anguish than a fully fleshed-out and deeply affecting sequence of poetic metaphors. She uncovers a warmth and tenderness in the Moderato second movement that makes the music with which it is surrounded feel all the more terrifying. be second nature, establish a backcloth that is warm, luminous and animated by a tangy freshness, as indeed is the playing of Weilerstein. Hers is an interpretation of passion. It is by no means heart-on-sleeve but, rather, it is distinguished by well-harnessed vigour and attack, susceptibility to the music’s lyrical heart, and by a range of tone that traces the concerto’s expressive contours with the assurance, sweep and attention to nuance that derive both from mature artistry and from a deep understanding of the music’s emotional trajectory. There is a spine-tingling thrill and generosity of feeling to this performance that make it irresistible.